The trucker shortage is a very real issue for the freight industry, and it's one that's only likely to become bigger rather than smaller. As a consequence, companies are not only struggling to attract new drivers, but also retain the ones they have, as competition continues to heat up in the sector. With that in mind, it should come as little surprise that shipping firms now offer five-figure signing bonuses for qualified drivers. Indeed, a number of the biggest-name businesses in the industry are now starting to offer bonuses of at least $20,000 at the same time as they're also raising pay in an effort to keep their current drivers, according to Business Insider. However, many report that this has really only helped with driver retention, while not really moving the needle in terms of drawing in new hires. 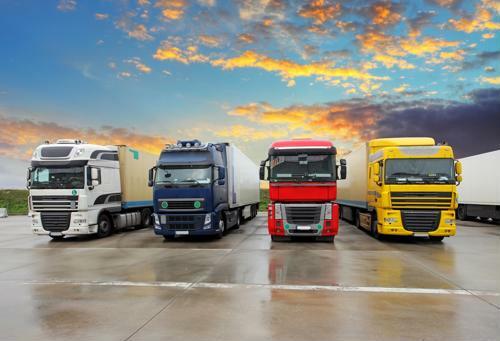 Consequently, experts say that the issue with the trucker shortage isn't that people don't want to get into the industry, it's that the industry doesn't do enough to draw in people, even with all these recent increases, the report said. The fact is that driver pay - relative to the industry's peak, after adjustment for inflation and other factors - is a fraction of what it once was, and perhaps only getting back to that level of pay will sort out the issue. "The driver shortage has nothing to do with the idea that people don't want to do this job," Will Kling, a pro driver based in Reno, Nevada, told Business Insider. "Little boys still pump their arms for trucks. People want this job, but they can't do it and support their family." Meanwhile, it's clear that trucking companies have other priorities as well, according to The Trucker. Changes to the federal tax code have allowed companies to start investing more heavily in new tractor trailers, with 47 percent of respondents in a survey saying it allowed them to make better decisions about leasing and purchasing. As a result, orders of Class-8 trucks hit 43,000 in October, marking eight straight months in which orders were north of 40,000 - an all-time record. That may be attractive to both drivers and freight companies going forward. At the same time, it might be wise for trucking companies to make it easier to onboard new drivers on an ongoing basis as well, according to Waterloo, Iowa, television station KCRG. One such program at Hawkeye Community College provides veterans and their families with free training to enter the trucking industry and become pro haulers. Typically, everything needed to get proper licensure and testing, as well as fees, would cost those coming into the sector about $3,500 - a potentially significant barrier to entry. The more shipping firms can do to make sure drivers have not only easy access to everything the industry can offer, but also top-notch pay, excellent benefits and other perks, the better off they will be as the driver shortage continues.